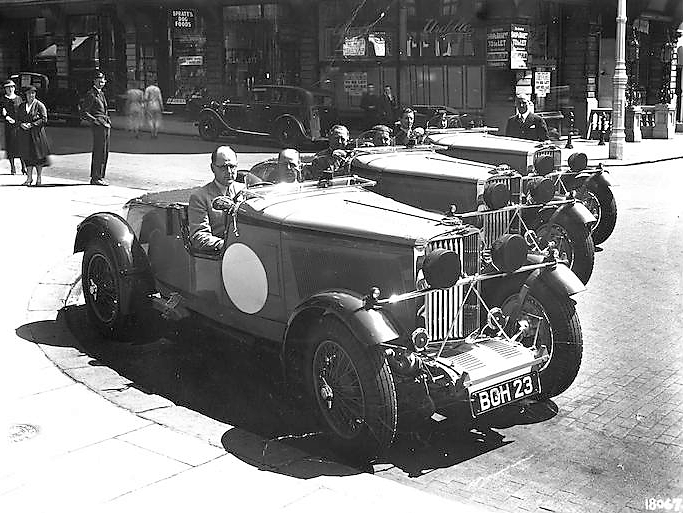 Mike Couper had competed in the 1933 Alpine Trial in his own Talbot AW90 after which he, privateer Hugh Eaton and motoring journalist Tommy Wisdom made a joint approach to Jack Scott, sales director of Clement Talbot, proposing a factory team of three cars for the 1934 event. They suggested that there could be no better reason for tackling the daunting Alpine Trial again "than to prove that the 105 in its fourth year of production was still better than anything else in the world...a fact which the public was tending to forget after two years' absence from competition." Scott was easily persuaded, appreciating that although the 3-litre Talbot 105 model was not new, still no rival product – including Bentley - could approach its specific power output per litre. The Talbot engine was also more robust than the finest offered by Bentley and Lagonda while the recently adopted pre-selector gearbox was a great advantage in Alpine motoring. The Talbot accountants would prove a somewhat harder nut to crack. 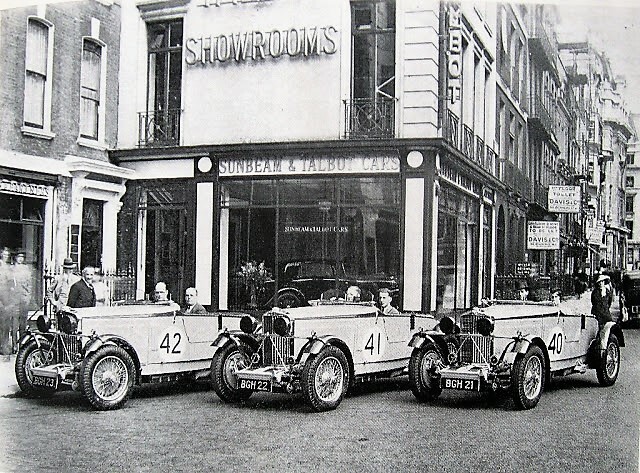 The Sunbeam-Talbot-Darracq group, of which Clement Talbot Ltd was part, was in poor financial health and there was simply no money to compete. Couper and Scott however knew just the people to solve the problem, leading Talbot distributors Pass and Joyce, who enthusiastically agreed to fund the team. Three new Alpine Trial team Talbots were produced. Registered 'BGH 21', '22 and '23. 'BGH 21' was allocated to the Wisdoms (Tommy and his wife Elsie), 'BGH 22' to Hugh Eaton, and 'BGH 23' to Mike Couper. The 6th International Alpine Trial was organised by the German Automobile Club, attracting no fewer than 155 entries, including new models from BMW and Delahaye. Mike Couper's new team had to join battle with the Germans on their home ground, and a very long way from home. 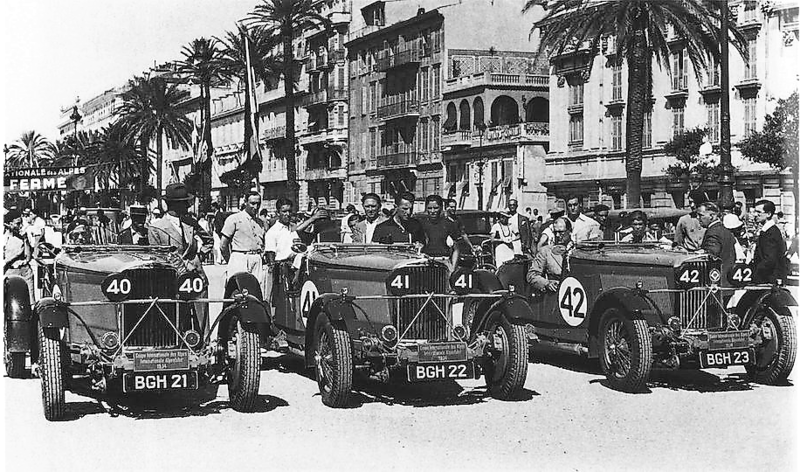 On Wednesday, August 1, 1934, Couper in 'BGH23' led the three-car Talbot team off to battle. Through desperately stormy, rain-swept weather conditions, the new team Talbots battled their way to Nice by Friday. 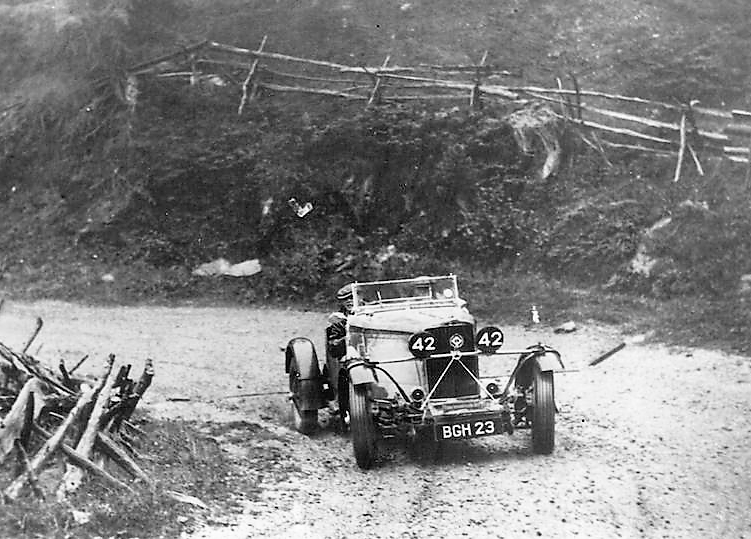 The competitors all had adventures of sorts en route to Nice, The most amusing was the one involving the Singer and Talbot teams. The Singers were in front, and ran into a flock of chickens at high speed. Suspecting that some more competitors would be along soon, the infuriated owners placed the corpses on a bench, ready to hand, and when the Talbot drivers appeared they were literally bombarded by the dead birds ! Sunday saw scrutineering on the Promenade, then parc fermé to await the Tuesday start, when from 4.00am cars set off at one minute intervals. Georges Roesch himself awaited the team's arrival in Aix-les-Bains after their first day's 306-mile grind. Next day comprised 263 miles to Interlaken over the Little and Great St Bernard Passes. 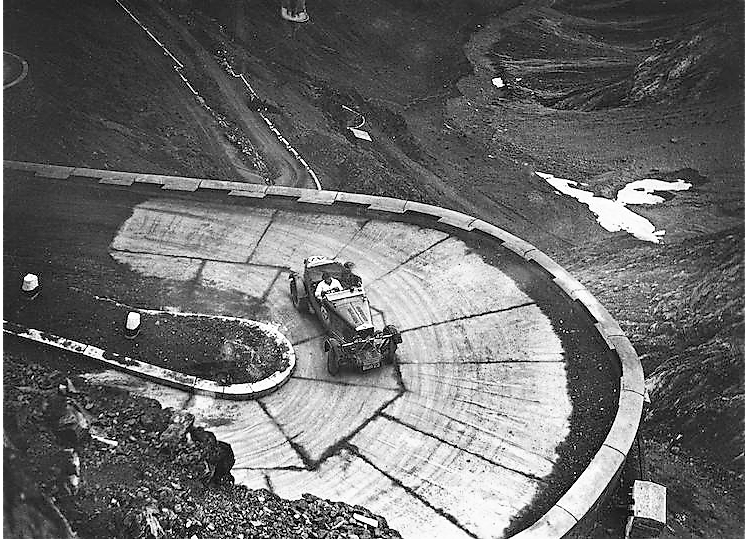 Many major passes punctuated the Trial's third day, including the Grimsel, Furka, Oberalp, Lukmanier, Splugen and Maloja before the night stop at St Moritz.The Talbots attacked the mighty Stelvio Pass in the order Wisdom, Eaton and finally Couper in 'BGH 23'. While Wisdom managed a clear run, both Eaton and Couper were delayed by a stalled official car, Mike Couper reckoned he had lost well over a minute yet still completed the climb in 23mins 23secs, Eaton 22:22.2 and Wisdom 22:16.8. These Talbots were by far the fastest in the entire Trial, and Wisdom's had set a new record for the Stelvio. After the Italian Colle d'Aprica, Passo del Tonale and the Mendola, the Talbots checked-in at Bolzano, after which the Rolle and Costalunga Passes preceded an uninhibited charge into Padua, then 4,000rpm and 80mph-plus for 10 kilometres through the Autostrada speed test and across the lagoon into Venice. Next day the Talbots tore through Trieste to Fiume, holding "...an easy 70... arriving in the mid-morning check with ample time for a final fill of Italian petrol and a three-course lunch; they had averaged over 50mph from Venice...". A dusty pot-holed time-wasting section followed through Yugoslavia to end in Zagreb before Day 6 took the entry some 550 miles back to the finish in Munich. The Talbot and Adler teams were finally judged equal winners of Group II, both teams winning coveted Alpine Cups. 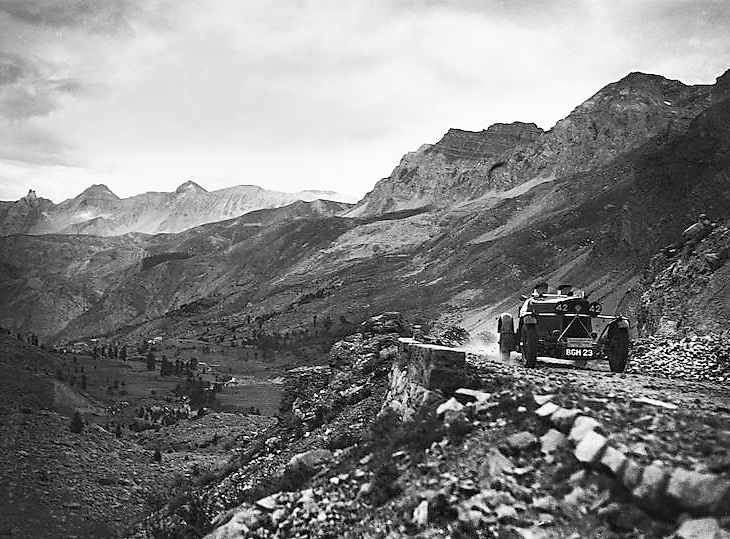 The Talbot marque's record of seven official entries in three separate Alpine Trials with not a single mark lost by any car, and the highest possible award won in each event is quite remarkable. All three of Couper's team Talbot 105s finished in excellent condition. Tommy Wisdom would report that after the total 3,600-miles covered – "Oil consumption had averaged 1,700 miles to the gallon and petrol 18mpg. Not a sparking plug had been changed, nor a tappet adjusted. Brakes were still 100 per cent efficient – they had been adjusted once. No car in the world could have given less trouble or performed better...".